With the long, hot days of summer still an eternity away, Igloofest, in pure defiance of winter, gathers the best local and international DJs as well as thousands of electronic music fans for 12 hot nights during the coldest months of the year. 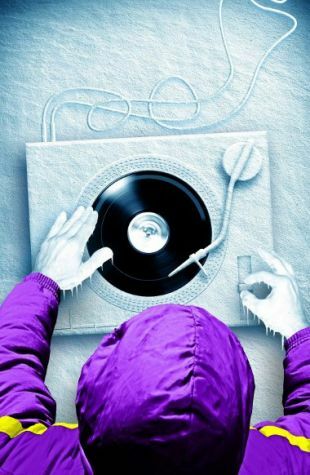 Over the course of 4 weeks, DJs from countries such as Denmark, Great Britain, the US and Canada (to name a few), get our blood pumping as we shake off the winter chill. Starting on January 17th and following every weekend thereafter until February 9th, the party gets started at 6:30pm each night and goes to midnight. Ticket information is available on the website and prices vary from individual tickets ($18.50) to the full package for super fans (Igloopass $120.00). Let’s also not forget the one-piece contest that calls on the brave to don the most ridiculous one piece snow suits for chances to win some pretty awesome prizes. This is a no-holds-barred contest and the more crazy, more colorful and conceptual you are the better chances you have of winning this publically voted contest! If you are coming in from out of town, there’s also plenty of info on http://www.igloofest.ca concerning how to get here and accommodations. Check out the site for lots of other fun info! Suit up, get out and have a blast!